To answer that question, the authors turn to a category of maps with a particularly strong reputation for objectivity: maps of nature. From depictions of species habitats and bird migrations to portrayals of the wilds of the Grand Canyon and the reaches of the Milky Way, such maps are usually presumed—even by users who should know better—to be strictly scientific. Yet by drawing our attention to every aspect of these maps’ self-presentation, from place names to titles and legends, the authors reveal the way that each piece of information collaborates in a disguised effort to mount an argument about reality. Without our realizing it, those arguments can then come to define our very relationship to the natural world—determining whether we see ourselves as humble hikers or rampaging despoilers, participants or observers, consumers or stewards. Richly illustrated, and crafted in vivid and witty prose, The Natures of Maps will enlighten and entertain map aficionados, scholars, and armchair navigators alike. You’ll never be able to look at Google Maps quite the same way again. "[The authors] offer up some appealing ideas. Afterwards, even a road map of Kent starts to seem more interesting." "Nothing like this has been attempted in cartography before. . . .The book is intelligent and drop-dead gorgeous; turning the project into an art book as well as a theoretical study of maps and nature.. . . . It may be a strength of this [book] that the ramifications are lightly sketched and the theoretical deftly articulated but not hammered in on every page. 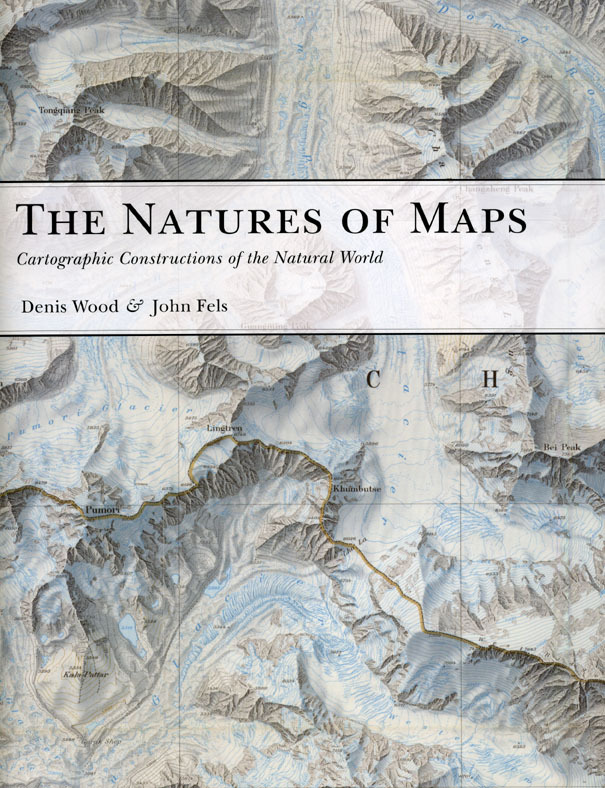 Wood and Fels let the maps make their argument, creating the reality they propose. It’s a beautiful book and one whose propositions will be the source of ideas, articles, and books for years to come."